I welcome you to start a youth sports blog. In fact, over the next couple of posts I will tell you how. Believe it or not, in this world with 156 million blogs and a population that is crazy about youth sports, there are really very few enduring youth sports blogs. So if you love youth sports jump in, you'll soon realize that blogging is as competitive as sports. Before we start, let me be frank with you, very few youth sports blogs endure. Heck, very few blogs endure past 30 days. Evidence, I just cleared out about 40% of my blog roll. 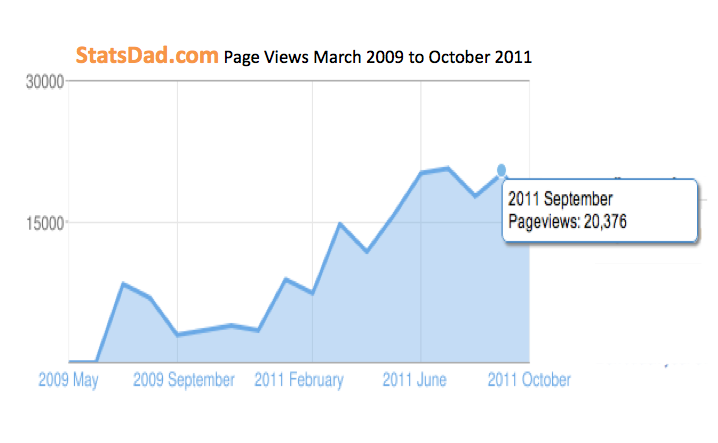 40% of the blogs that I listed 1 year ago were dead - no activity. Here are my Top 5 Reasons why Youth Sport Blogs Fail. It's very easy to set up a blog on Google Blogspot or Wordpress, but it is very difficult to write original content that is engaging, entertaining and / or informative with consistency 2 to 3 times per week every week. Blogging usually starts with a desire to express oneself and a dream to make money. Here's how it'll play out for you. Your blog will start with a post that you pour your heart into. You'll agonize over every word. You will hesitate to hit the publish button for fear that it could be just a little bit better, so you'll re-read it. Then you'll hit the publish button. You'll feel complete satisfaction because you created something from scratch. You will click on it over and over again. Checking in on it like it was your first born. This will energize you to write more. But after a couple of weeks, you'll come to realize that very few people are reading your posts. You'll question your sanity, "Why am I spending so much time talking into the wind?" You'll be discouraged to say the least. All of your great early content will go unnoticed. If you are like many, you will lose your desire. Your three to four posts per week will go to 1 to 2. Then you will post sporadically until you abandon the site altogether. It takes months and months of strong content and persistent networking to build an audience. You'll need to be very patient. In the first three months, I wrote 77 posts that generated a measly 1,500 page views and 750 visits. And I can tell you that the majority of those visits were from me. 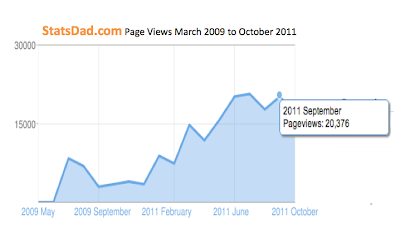 Two years later, StatsDad.com is averaging 20,000 page views and 11,000 visits per month. Not a powerhouse, but respectable. Let me tell you straight, you're not going to make money at blogging at least for a while. Maybe never. So don't get into blogging because you want to make money. You'll only make money if you have an audience. And you'll only have an audience if you consistently create content that people want to read. (Read Point 2) Concentrate on creating compelling content that satisfies your passion to create and not on generating money. And before you know it, you will be making a few bucks from AdSense and other advertising networks. Enough to support the coffee drinking habit you will create staying up late writing..
Point 1 and Point 2 clearly indicate that it's not easy to create compelling content. It's a chore and a commitment, so you'll need to have a burning desire to do it. My desire came from two sources. 1) I wanted to chronicle my kids sports careers so that they could better remember this time of their lives. I wish I had more press clippings and memories from my sports days. 2) I also wanted to learn about social media for my job. The best way to learn is to jump in. Two very meaningful benefits for me. After I started writing, I realized that I had insider information that was useful to other youth sports parents. A passion to help others emerged and converged with my other objectives so I make the time in my busy schedule to write. Find your true passion, your motivation and write. You have to have crazy good time management skills to be a youth sports blogger. I'm not a SAHD, I have a full time job and my two kids will participate in about 440 games and practices this year. I really don't have time to blog, but I make the time. My advice to you, carve out 1 hour every other day to write something. I write early in the morning and late at night. Blogging can be very rewarding, but it's not easy. If you are going to jump in and I hope you do, jump in with your eyes wide open. You expect your kid to work hard to achieve their athletic goals. You will need to do the same. Once you are in, you will realize that blogging is a competitive sport. If your passion is youth sports, join me. 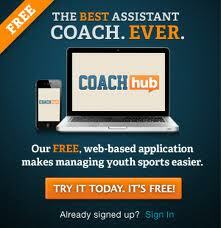 I cover select basketball, soccer and baseball, all the sports my kids play. I am clueless on the topics of hockey, swimming, gymnastics and track. Maybe your passion is strength and conditioning for youth sports or youth sports nutrition. Find a passion and start writing. It's very true - you speak to yourself for a while. But for me, writing it out has helped me understand my own feelings on the topics I present and plan how I coach my kids. Thanks for the comment - You can guest blog for StatsDad anytime. Hi! I just wanted to let you know that I'm glad you stuck with it. I only came across your blog about a month ago, but was hooked, and have read back to all your archived posts. My sons are only 7 and 9, but play CYO and club basketball, and little league baseball. I find your posts informative, entertaining (LOL on Top 10 Youth Parents), and shocking (how much your son spends on basketball shoes!) . . . but also so, so helpful for parents like myself whose kids are just staring on their journey of competitive youth sports. Please stick with it! As your sons participate in youth sports - keep an eye out for interesting stories and share them with my readers. I just read a great post about Celebritzing yourself. It follows the same thinking regarding blogging. I have a kid enrolled in gymnastics for toddlers class. Slowly I'm learning about gymnastics, and I think I have enough to go on for a blog! Thanks for the encouragement and the welcome tips.